2016 is officially Belfast’s Year of Food and Drink, so it’s the perfect time to plan a visit. But there’s much more to this Northern Irish port city than just eating and drinking. 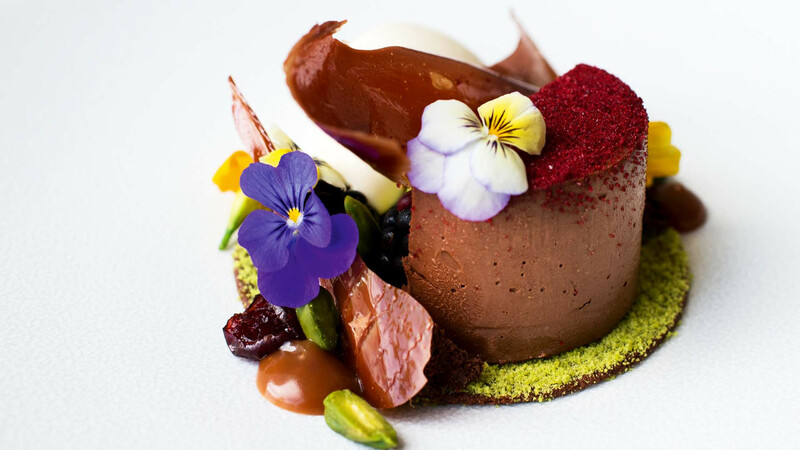 Adventurous foodies have had Belfast on their radars for a while now, thanks in no small part to the presence of Michelin-starred Ox Belfast, and Howard Street, where you can try international cuisine in a relaxed and unfussy setting. So it’s appropriate that 2016 is Belfast’s Year of Food and Drink, and for fans of those two things, there’s no better time to visit. If you’re tight on time and can’t spend hours lingering in restaurants, try a two-hour food tour of local producers, from Leggygowan Farm to Hannan Meats. 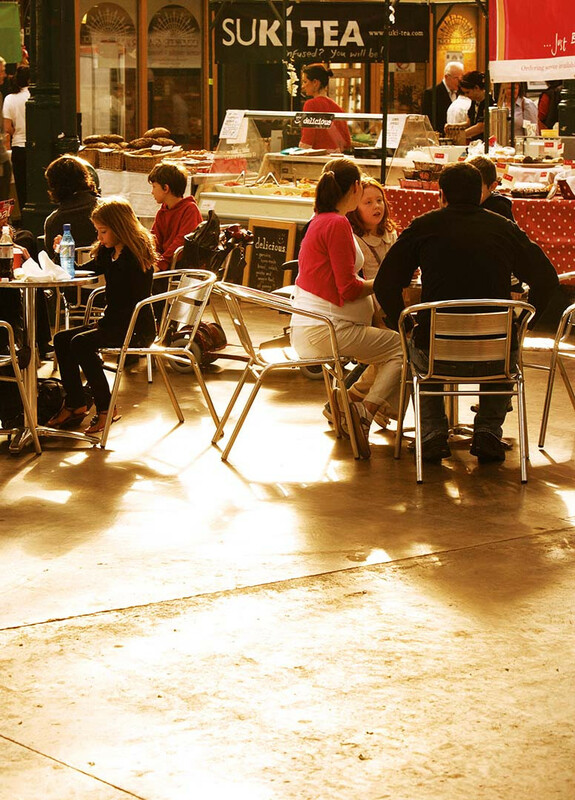 It starts every Saturday at St George’s Market – one of Belfast’s oldest attractions, built between 1890 and 1896. If even two hours is too long, make a flying visit for coffee beans, cakes, jewellery, art and a lot more. Belfast does burgers with love – try particularly rich, meaty versions at the Barking Dog in the student ’hood. It feels pretty gourmet for what’s essentially a pub, and the patties are stuffed with slow-cooked beef shin before being topped with cheese, rocket and caramelised onions. For the best of Northern Ireland in one meal, try James Street South and its Taste of Ulster tasting menu, featuring east coast scallops, County Antrim beef fillet and Glenarm salmon. Breakfast should be a feast, and if you’re going full Irish – which you certainly should – get to Rhubarb for huge mugs of tea served with bacon-stuffed soda bread, or Maggie Mays for heaving plates of soda bread, potato bread and sausages. If you need a caffeine hit after all the carbs and protein, try Established Coffee – a hipsterish café with healthy dishes and latte art galore. For old-style Irish pubs, beer crawl in the Cathedral Quarter. The Duke of York, one of our favourites, is hidden down a cobbled alley – sip your creamy stout or whiskey on a tiny stool in the wood-clad room, or outside on one of the red benches with flowers dangling over your head.The nearby Dirty Onion has live music going seven nights and two afternoons a week – hear traditional stuff, or tunes with a contemporary twist. Elsewhere, Filthy McNasty’s is a great shout for chic cocktails, strange decor (expect mannequins dressed as lamps) and a hidden beer garden with heaters out the back. Continuing with the cocktails, you’ll find the most sophisticated joint at the Merchant Hotel, with a decent soundtrack at Bert’s jazz bar and a chance to keep the night going at on-site Ollie’s nightclub. If craft beer’s more your scene, try the Woodworkers, then head next door to Lavery’s – the city’s oldest bar – with DJs, sport and live music on rotation. 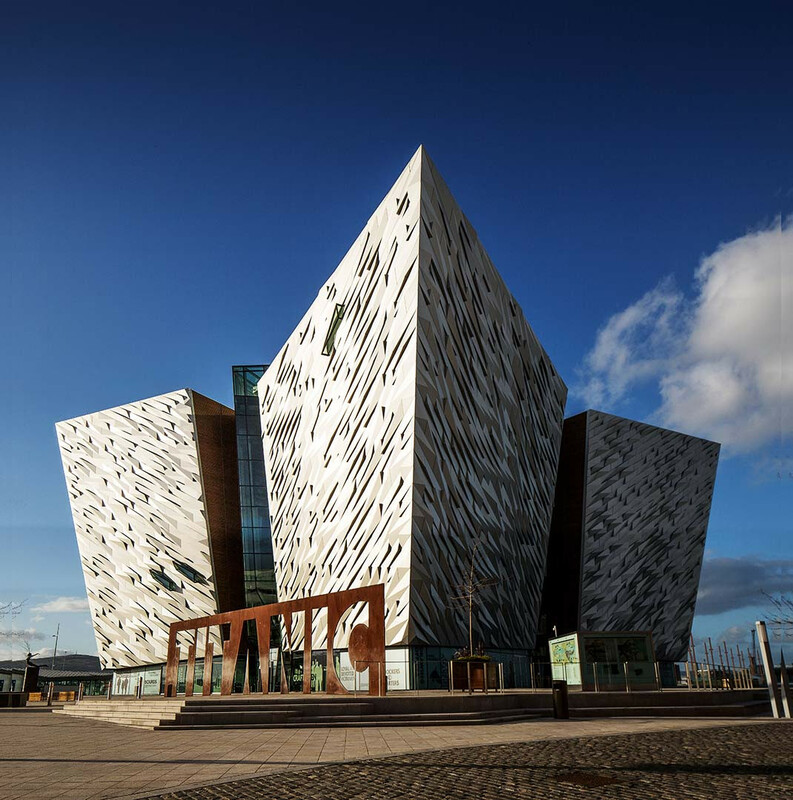 Fans of regeneration projects – and big ships – should head to the gleaming Titanic Quarter, a new waterfront area celebrating the birthplace of RMS Titanic, which sank on its maiden voyage in 1912. The impressive Titanic Museum takes you through the story of the ship and its fateful trip – which sounds gloomy, but is absolutely fascinating. 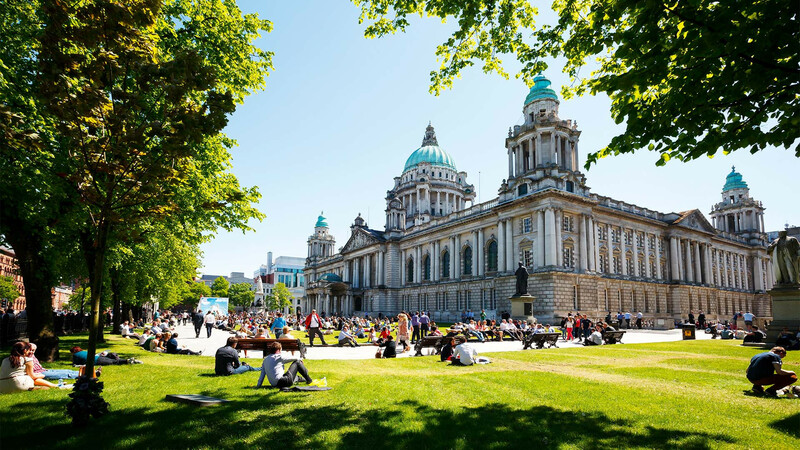 The city is packed with galleries, from Red Barn in the city centre for images of Belfast past and present, to Belfast Exposed, which features art and photography from Belfast and beyond. For an impartial view of Belfast’s troubled history, don’t miss the black taxi tours. They’ll take you around the political murals and the famous peace lines, and fully explain the political and cultural events that have shaped the city’s past and present. If it’s local produce you’re after, you can’t beat St George’s Market (again) – particularly on the weekends when you’ll find traders including Paddy’s Antiques (self-explanatory), Andy Paraskos (for vinyl) and art traders in their double figures. Avoca is a favourite of city residents for its cute Irish homeware, clothing and a café that’s great for Irish cooking and home baking (the scones with a cup of tea are especially celebrated here). Liberty Blue on Lombard Street is a Belfast institution, where you can get your hands on statement jewellery and vintage dresses. If you’re more into music, try Good Vibrations – a legendary store founded in the 1970s – or Dragon Records, where you’ll find plenty of rare seven-inch records. Be sure to satisfy all your retro clothes needs at Viva Retro, an eclectic shop stocking old band t-shirts and floral tea dresses. To be right in the middle of the action, the Europa hotel is hard to beat – it’s not just the location that counts here, the luxe interiors are a bargain for the hotel’s price point. For something smaller, the city’s first boutique hotel is the 22-room Ten Square – it’s located in the Grade I-listed Yorkshire House, a former linen warehouse built in 1862. If you’re not staying, join the city residents at the restaurant and bar for a cocktail or steak. 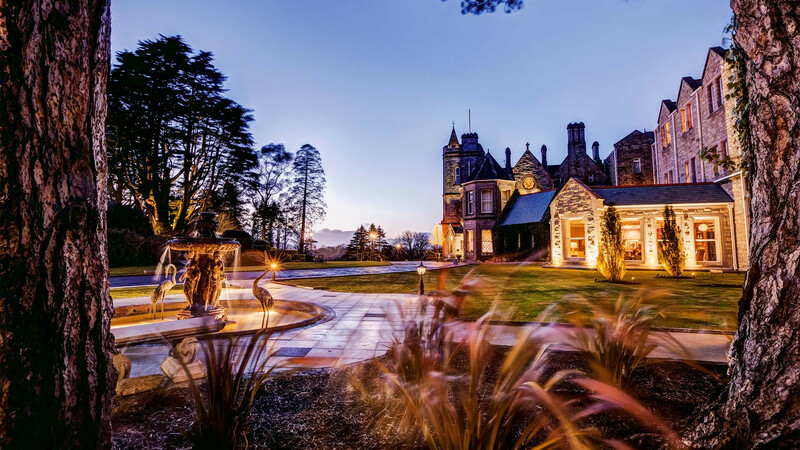 Slightly out of the centre in the Hollywood hills you’ll find the Culloden Estate and Spa (pictured, above), an elegant, turreted old bishop’s residence with a huge spa and views over Belfast Lough. Have a wander around the grounds and be sure to check out the on-site pub for traditional Irish food – from pies and Irish stew to scampi, with a Guinness on the side, natch. If you’re after a hostel, Vagabonds is a fun and popular choice, and just a 15-minute walk from the city centre. 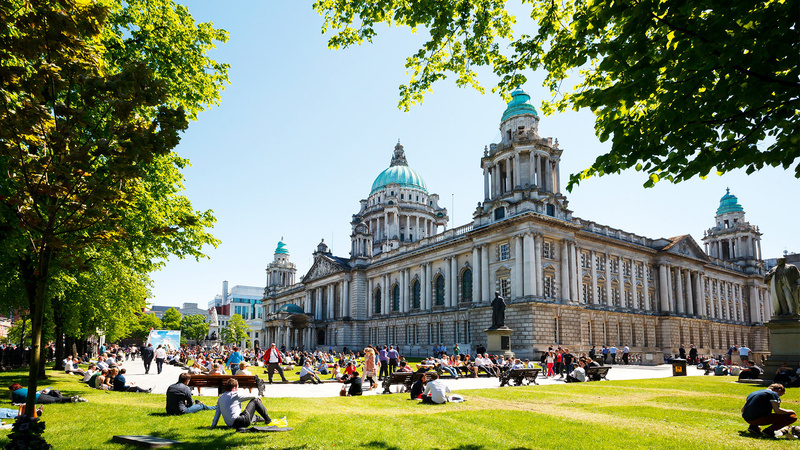 2016 is Belfast’s Year of Food and Drink – visit Tourism Ireland for suggestions while in the city, tourismireland.com. Hastings Hotels offers a double room at the Culloden Estate and Spa from £144 b&b, and at the city centre Europa from £76 per room, per night b&b, hastingshotels.com. EasyJet offers return flights from £45, easyjet.com.